Winter is finally over and things are starting to warm up quickly. Like germinating seeds in the soil, many exciting things are about to happen this spring. Let's all Spring Forward to Maker Season! We have started our monthly Open House every 3rd Saturday of the month from 10 am to 12 noon. The first two events were held on February 16 and March 16. Families enjoyed free snacks and kids created free projects. What a nice way to spend a Saturday morning with your family! The next Open House is on April 20 and will continue throughout 2019. Come check out our STEAM3D Space at Open House. Family with kids are welcome to register here! 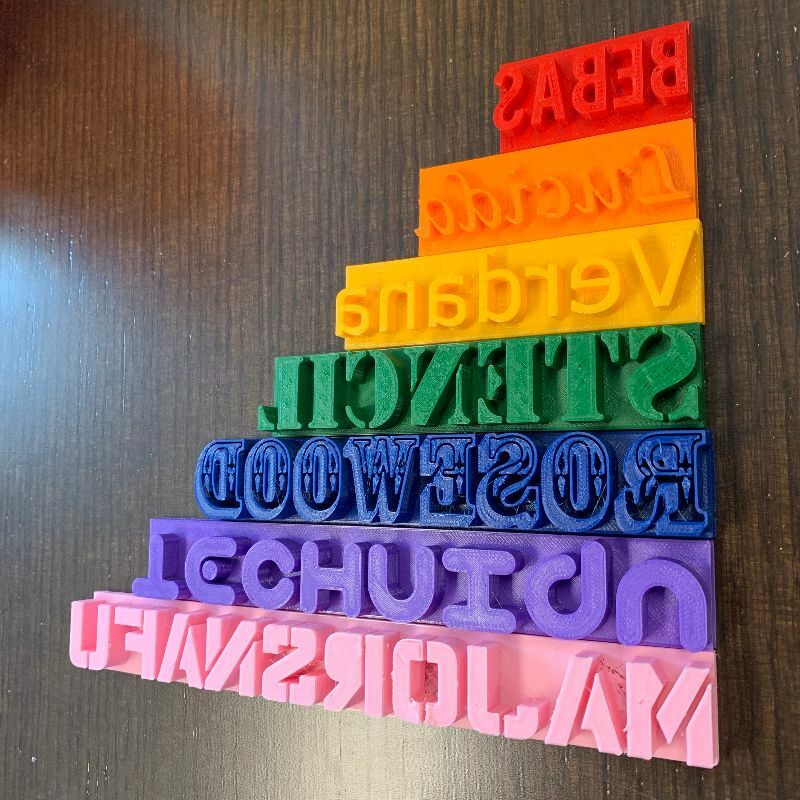 On February 26, we led a 3D Printing Workshop for students at Christ the King Catholic Elementary School in Richmond Hill as part of their "Tech Tuesday" series. Participants were introduced to the basics of 3D printing and learnt about the 3DP workflow. We also demonstrated the operation of the school's MakerBot 3D printer (donated from us) to jumpstart their 3D printing journey. On March 5, we conducted Drone Workshops for students at Port Credit Secondary School in Mississauga as part of their "Breakthrough 2019" Conference. Participants learnt about drone rules and had the chance to battle with mini-drones. It was very well received by students, volunteers and teachers. On March 9, we attended March Break Kickoff Maker Fest organized by Richmond Hill Public Library at Richmond Green Library. Apart from showing off some awesome 3D prints, we had the opportunity to fly our DJI Mavic Air drone in the library to record part of the festivities. Could someone please verify if our indoor drone flight and aerial videography in a public library is a Canadian first? 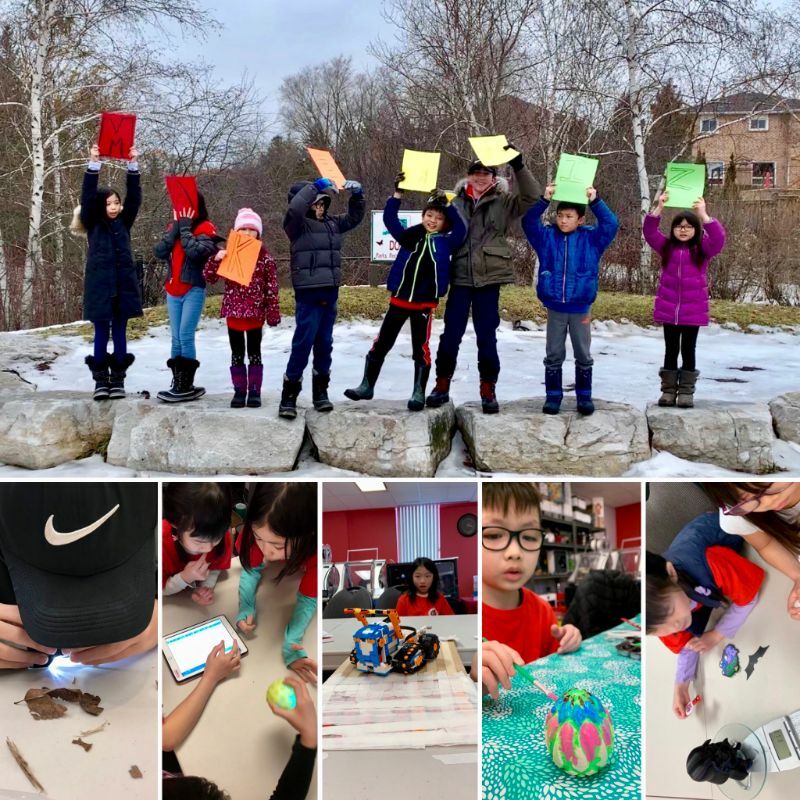 Our "Hack Your Creativity" March Break Camp was successfully held from March 11-15 with double the attendance from last year. Campers spent a day each learning about Science, Technology, Engineering, Art and Math. There was even a week-long mini-game competition culminating in a dragon trophy for the winner. Everyone had a blast! PA Day Camps, and Summer Camps are now open for registration. Don't miss out! Register today! Due to popular demand, we are now planning 2 workshop series for mature adults (55+) in late spring/early summer. 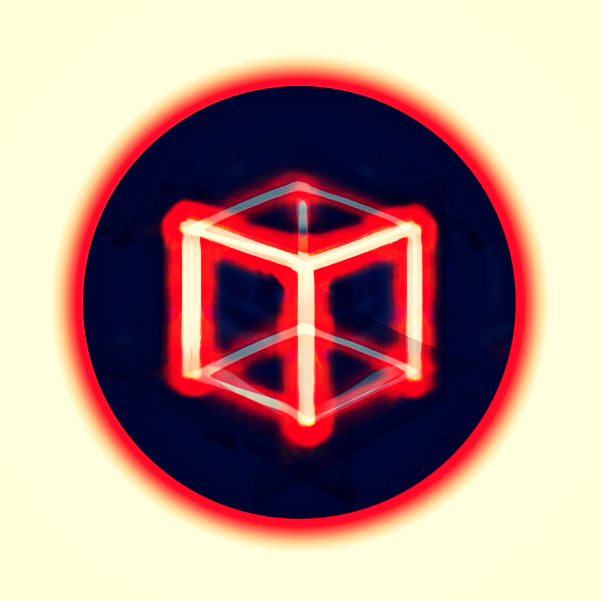 The topics will be Digital Fabrication and Basic Astrophotography. Stay tuned for updates! 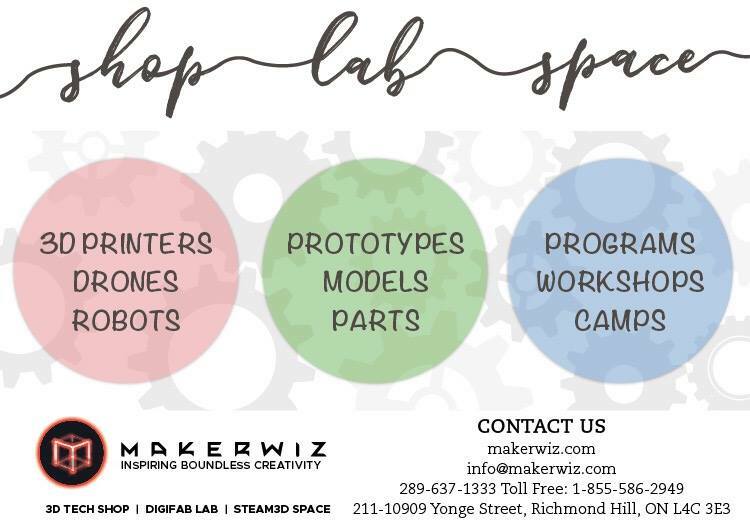 For details about any of our upcoming programs and events, refer to the information below or contact us any time by phone at 289-637-1333 or by email at space@makerwiz. We can also be reached via online chat at makerwiz.com or at store.makerwiz.com. 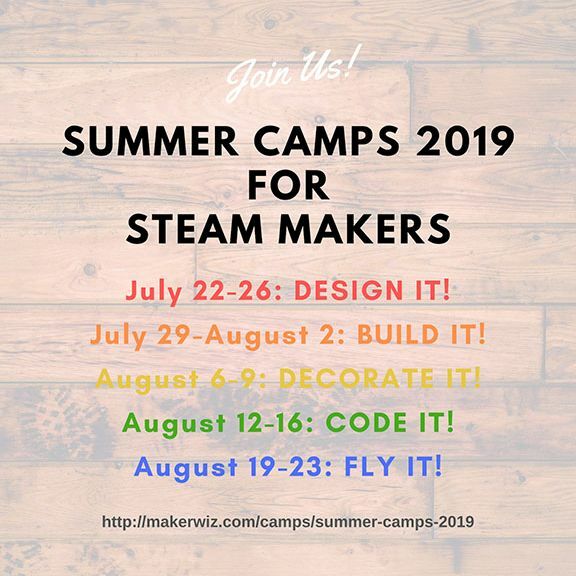 STEAM Maker Club Membership = Multiple Perks! Did you know that Makerwiz's STEAM3D Space is a Makerspace for STEAM Education? Our membership is called STEAM Maker Club. Members at all 3 levels enjoy regular tech workshops and multiple perks, including access to our Maker Library, 3D print time on our large fleet of 3D printers, specials in all our camps and programs, as well as discounts on all products at our 3DTech Shop (now including our Shopify and Etsy stores) and all services at our DigiFab Lab. Kids between 6-13 join us weekdays 4-7pm. Teenagers meet every Saturday 1-3pm. Sign up to become a member today! This month, we are glad to announce that we have finally launched our long awaited Etsy store. This new store joins our existing Shopify store and Amazon store to bring you the best in maker products, but will focus on bringing 3D printed items to our fans. Starting with cookie stamps, more goodies will appear over time. Visit often! Makerwiz camps focus on small group project-based learning. Our summer camps are especially popular but spaces are limited and will sell out fast. Register today to avoid disappointment! HST is even included before April 1. No joke! To follow our latest offerings like these, or to see our "Daily Makes", catch us on Facebook, Twitter or Instagram. To order products, visit our webstore at store.makerwiz.com 24/7/365. Makerwiz carries high quality 3D printing equipment and supplies for clients across Canada. We are distributor/reseller for MakerBot, LulzBot, ColorFabb, CraftBot, Filabot, Proto-Pasta, Prusa Research, ZMorph and others, with expertise in 3D printers, 3D scanners, drones and robots from multiple manufacturers. Makerwiz provides Digital Fabrication services to industrial engineers, product designers and startup entrepreneurs. Our average turnaround time is less than 2 days. We also organize regular meetups and special workshops for the 3D Hubs community in Toronto. We are partnered with several makerspaces in Ontario and across Canada. 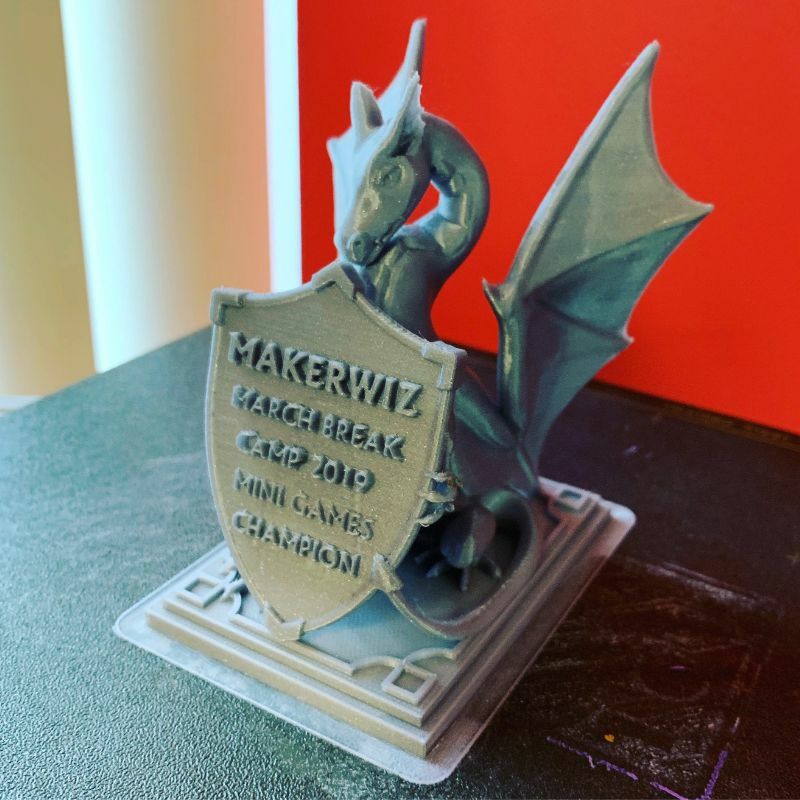 Makerwiz aims to foster STEAM (Science, Technology, Engineering, Art, Math) and Maker Education by organizing events and workshops in 3D Printing and Digital Fabrication for all ages. We help schools, colleges, universities, libraries and museums procure the most suitable technologies for their curricula and programs. Copyright © 2019 Makerwiz, All rights reserved.